Stay beachy year-round with this simple fridge upgrade. Need a fun summery project? 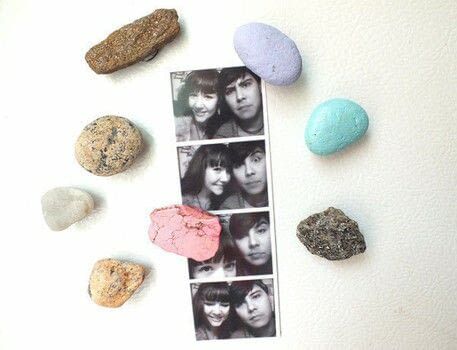 I whipped up some DIY beach rock fridge magnets—a project I’ve been saving rocks for since my vacay last summer. 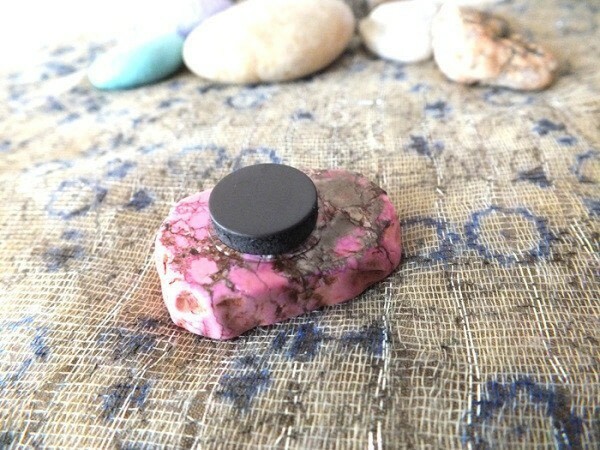 I used a mix of pink turquoise slabs, quartz, beach glass and assorted salvaged/painted rocks, some $1.99 magnets from Jo-Ann Fabric, and my favorite all-purpose clear tacky glue, Fabri-Tac. This one is so easy, and the results are so pretty. 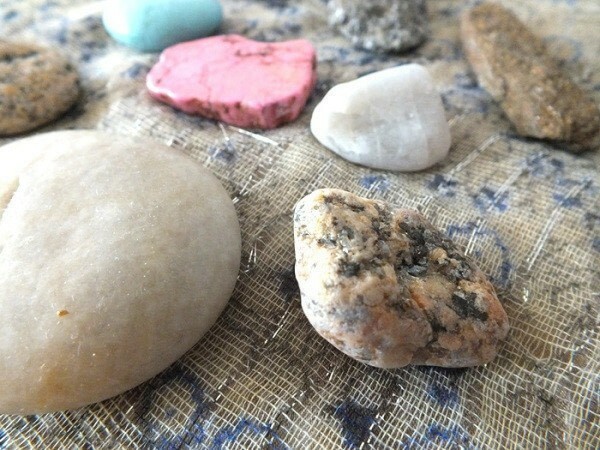 Curate your rocks and gems into a set of mixed colors and textures. 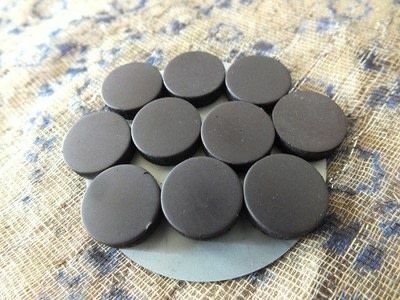 You may want to paint some of them to give a more varied appearance. Pastel colors end up looking the most summery. Grab your magnets (in the end, I realized I should have spent a few more bucks and got stronger magnets, as these little guys didn’t hold the heavier stones—but they worked perfectly for the lighter ones). 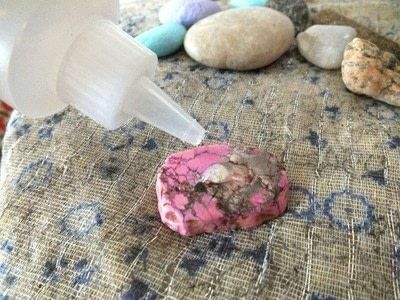 Dab a bit of glue onto the back of each rock with your Fabri-Tac and immediately place the magnet over your glue. Press the magnet down firmly. 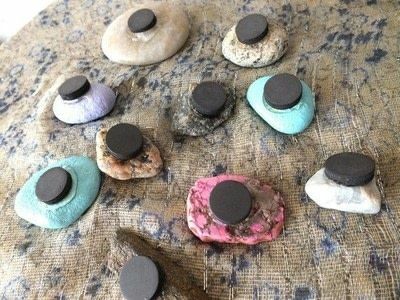 Let them dry for a few hours — overnight is a safe bet to be sure the rocks don’t ooze off the magnets while they’re on the fridge. 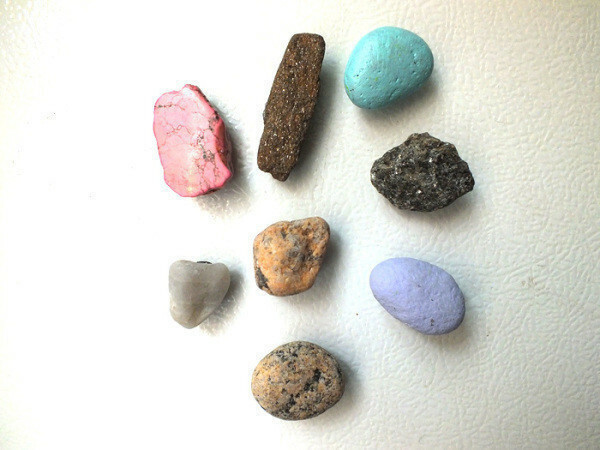 Once dry, add them to your fridge!